Railpictures.ca - CalMurray Photo: A pair of SD40-2F\’s lead 451 west of Virden on boxing day of 09. | Railpictures.ca – Canadian Railway Photography – photographie ferroviaire Canadienne. Copyright Notice: This image ©CalMurray all rights reserved. 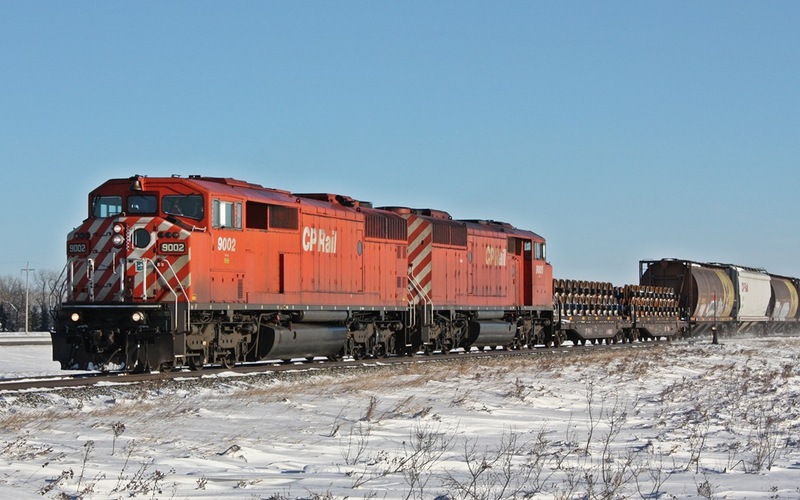 Caption: A pair of SD40-2F\'s lead 451 west of Virden on boxing day of 09.